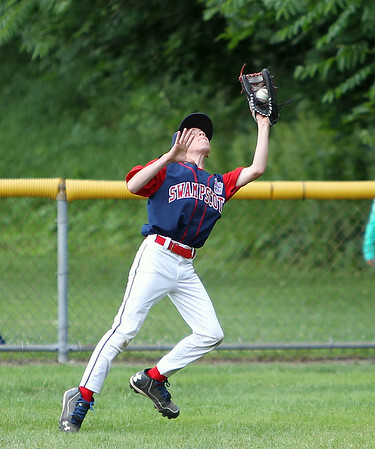 Swampscott right fielder Miles Benson hauls in a fly ball to retire a Peabody West batter on Thursday evening. DAVID LE/Staff photo. 6/26/14.